This free article examines common ratios used by securities analysts, brokers, institutional investors and others in the investment community. 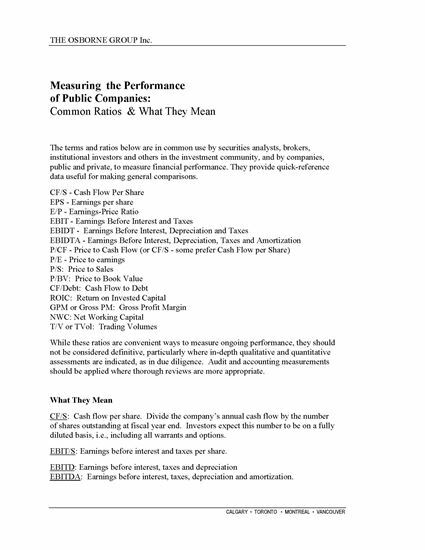 The article explains what the terms and ratios mean, and how they are used to measure financial performance. The article is intended as a quick reference guide which you can use to make general comparisons. The article is provided by The Osborne Group, Inc., project management and business coaching specialists.